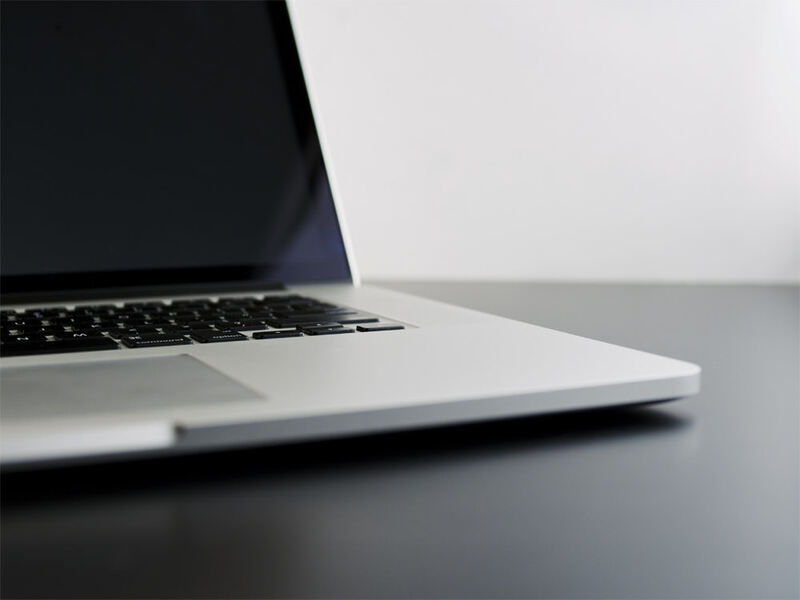 Photos and documents, or any type of file for that matter, can be attached to an e-mail and sent so the receiver can open the file on their computer (providing they have the necessary software). You can also save pictures within the email page so you can arrange them with relevant text to illustrate part of the mail or add a caption. Sending photos as an attachment is actually pretty easy to do once you know how so to get you up to speed, here's how you can do exactly that on a variety of devices. Before we get into the ins and outs of sending images as attachments we thought we'd discuss image file sizes as some image files will be too large to send over email. 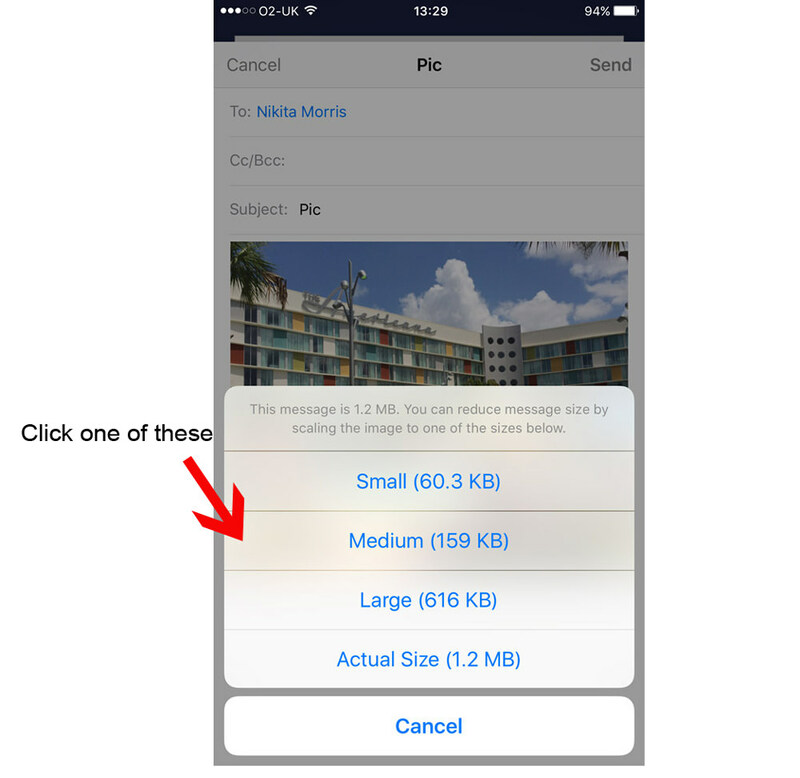 However, there are ways you can optimise the sizes of your images for email to help avoid exceeding the maximum message size limit, something we'll be discussing shortly. Another issue with large files is that they take up a lot of room in a mailbox so the person you're sending the file to may not have the space required to receive a large file. There are many programs now that offer an automatic email send option that resizes the photo before it is attached, or you can resize the image yourself in photo editing software. 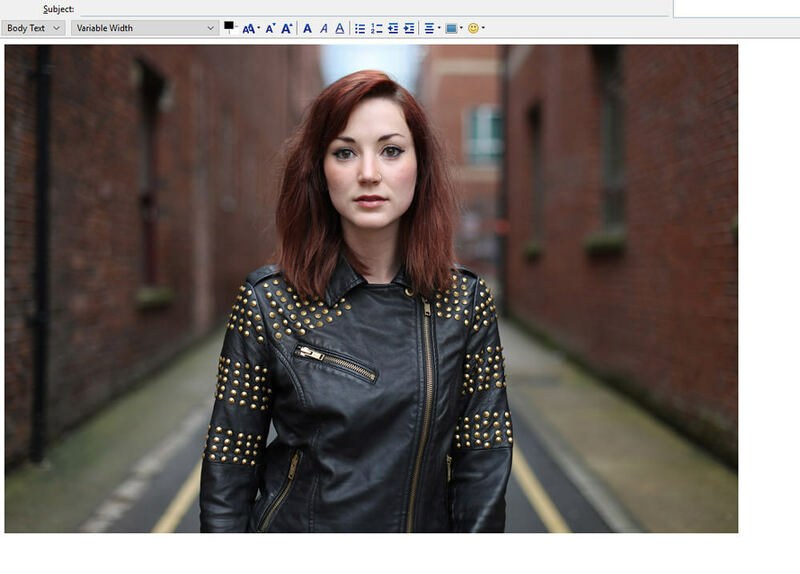 For advice on how to do this, see our article on resizing photographs.The only thing when you resize is that the person who receives the photo won't be able to print a large version of the image if you have saved it at, say, 500 pixels wide. Instead of changing the resolution of the image, you can reduce the file size by compressing it. You can do this within the email system or you can download software, such as 7-Zip, so you can compress files outside of your mail. If you still find the image is still too large to send, you can use a free transfer site such as WeTransfer to send up to 2GB for free. Log into your account and click 'new' to prepare your email. Add the address of the person you are sending to, a subject line and your message then click the paperclip icon to add the image as an attachment or the image icon to insert the image into the actual message (inline). 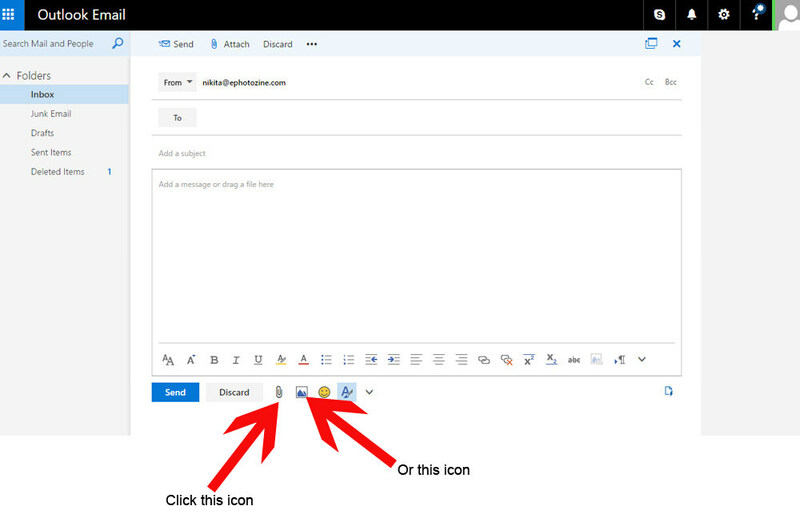 When you click the paperclip icon you'll be able to access the OneDrive where you can store files but you're more than likely going to be sending an image that's stored on your computer so click on 'Computer'. 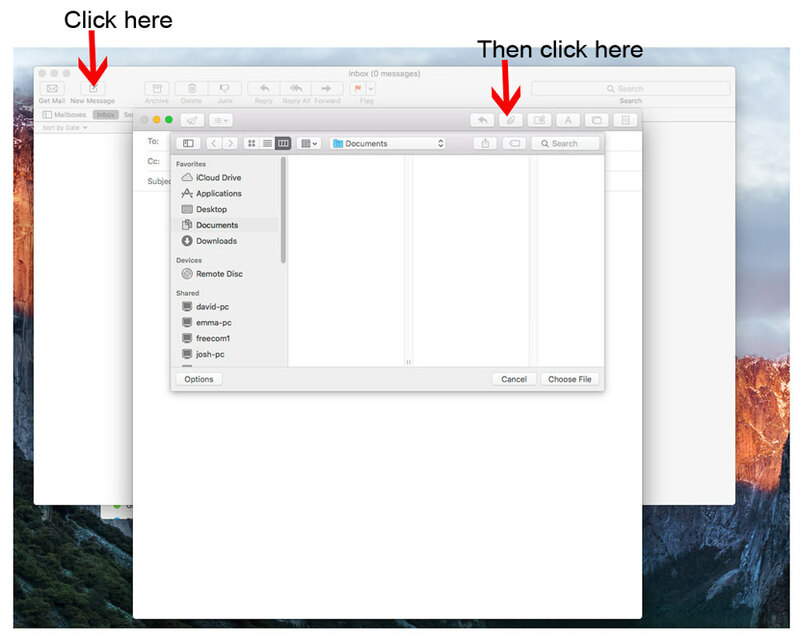 This will open up a window where you can browse your computer to find the file you want to send. When you've located it, click 'open'. If your file's pretty big, you'll get a message asking if you want to share it with OneDrive to reduce the email size. 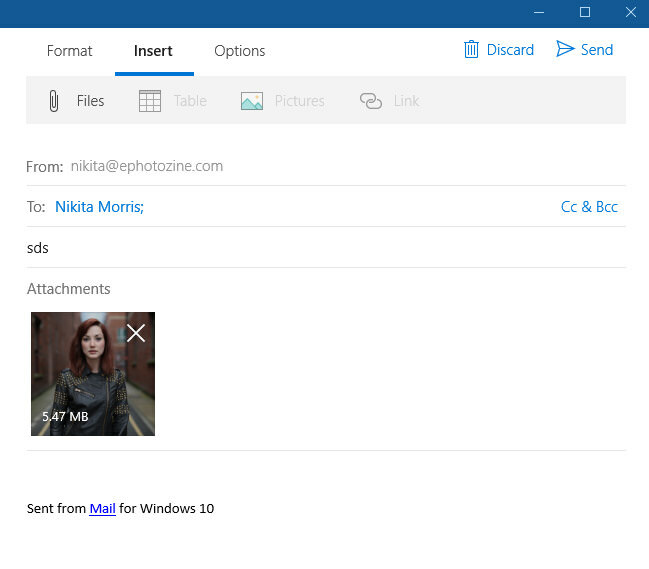 You can actually work with others in real time on files shared to the OneDrive so long as they can access the file. 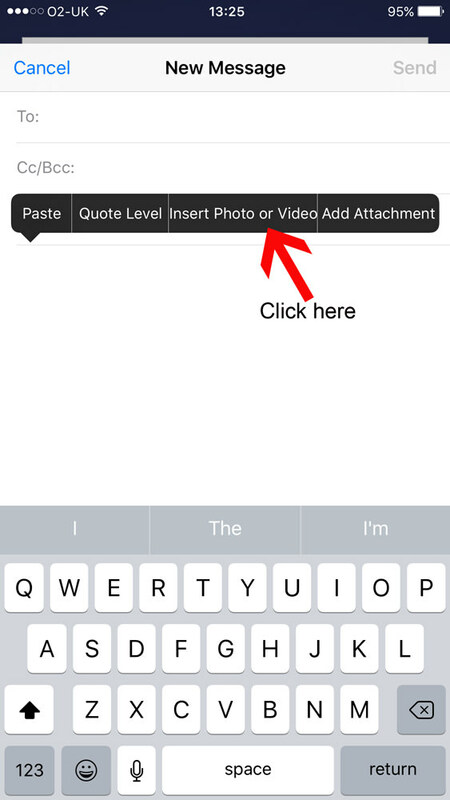 There's also an option to 'Attach as a copy' so the recipient can see the file but it can't be edited etc. on the OneDrive cloud. 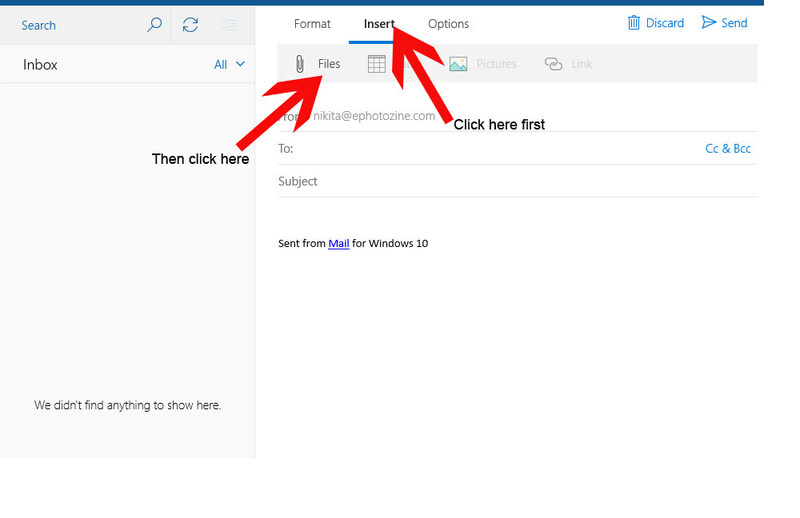 Once you choose your option, the file will be added to the email and appear above your message (shown below). Check your message and when you're happy, click send. To add the image into the body of the email, you can drag the file you want to send into where you write your message or you can click the image icon. This will open up a window where you can browse your computer to find the file you want to send. When you've located it, click 'open'. Your image will then appear in the area you write your message in and you can click 'send' when you're happy with the email. Log into your account and click 'compose' to prepare your email. Add the address of the person you are sending to, a subject line and your message then click the paperclip icon to add the image as an attachment or the image icon to insert the image into the actual message (inline). When you click the paperclip icon you'll be able to access files on your computer in a new window. Browse your computer to find the file you want to send and when you've located it, click 'open'. A load bar will appear showing you how long's left until the image is attached to the image and once it's completed, the file will appear at the bottom of the message. 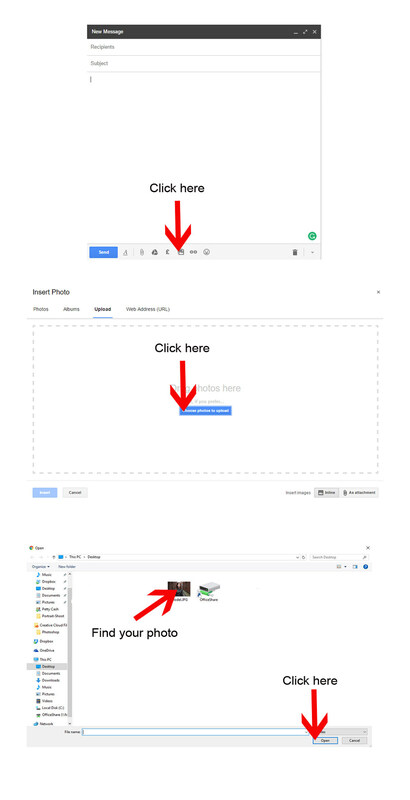 To add the image into the body of the email, you need to click the image icon which will open a window where you can access images saved to your Google drive, from the web or from your computer. 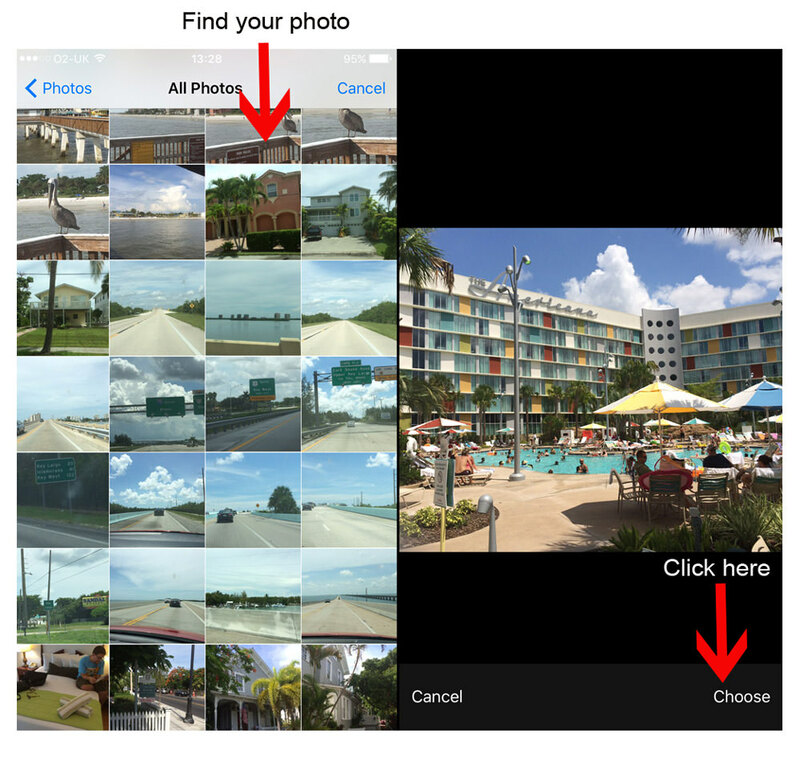 If you choose to upload a photo you can drag it to the photo upload area or click the 'choose photos to upload' button to browse your computer. Once you've located the image and selected it, it will load and eventually appear in the area you write your message in. Check your message and when you're happy, click send. Login To Your Account and click 'compose' as you would when writing a new email. 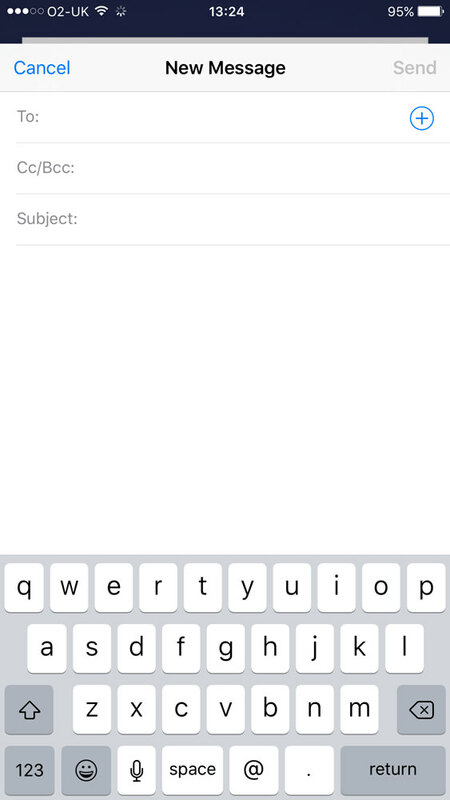 Add the address of the person you are sending to, a subject line and your message then click the paperclip icon to add the image as an attachment or you can drag your image from your computer into the email to attach it. When you click the paperclip icon you'll be able to access files on your computer in a new window. Browse your computer to find the file you want to send and when you've located it, click 'open'. This will attach the file to the bottom of the email. Alternatively, you can drag the image file into the email and it will appear in the same area. 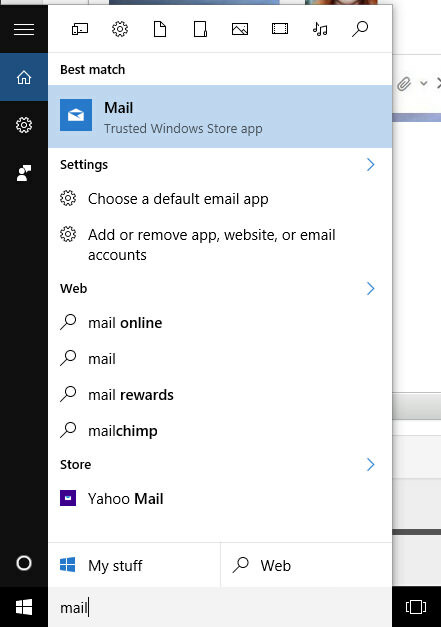 Search Windows 10 for the mail app by typing in the search bar at the bottom of the screen. Click to load the app so you can see the email interface and click 'new mail'. Fill out the email form as you normally would then click 'insert' found at the top of the window to add an image as an attachment. 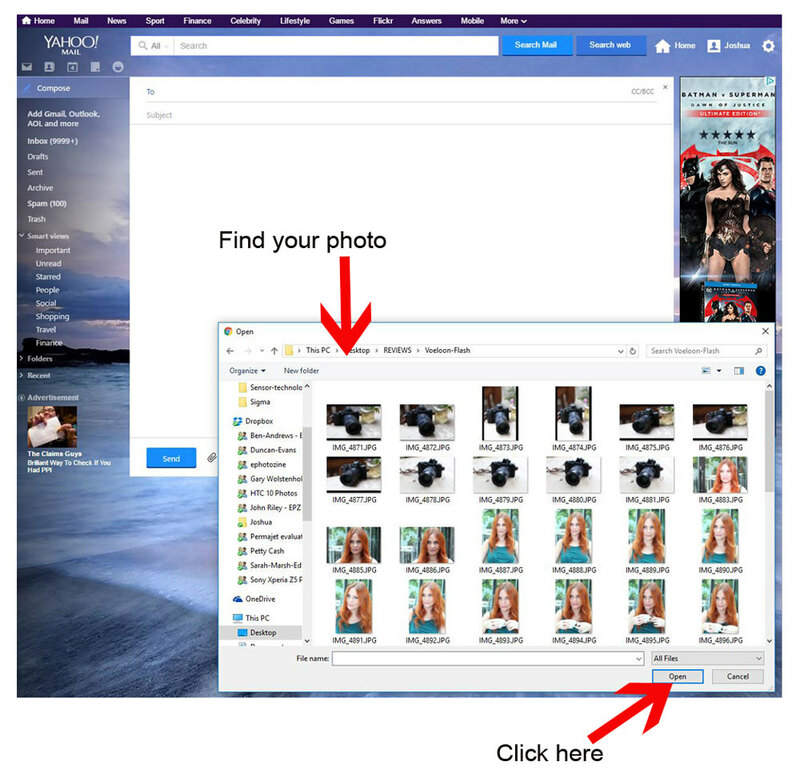 Browse your computer via the new window that opens to find the file you want to send and when you've located it, click 'open'. This will attach the file to the email. 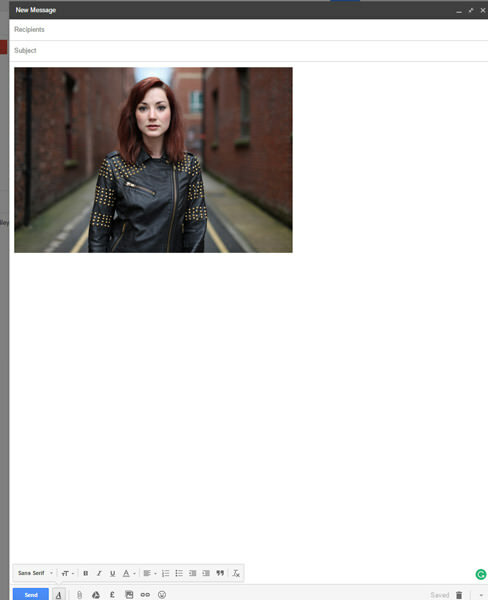 Alternatively, you can drag the image file into the email and it will appear in the same area. Click and open Thunderbird then select the 'write' button. 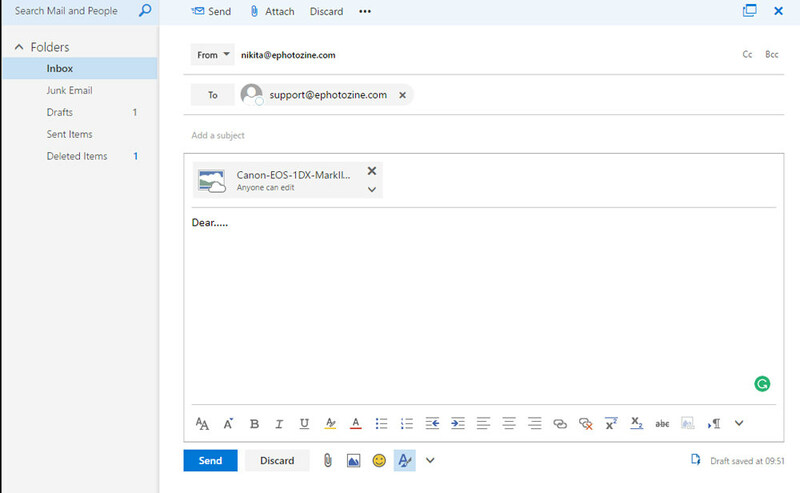 You can add an image by clicking the 'Attach' button that has a paperclip icon next to it or you can drag images into the email for them to appear inline. If you click the 'Attach' button you will be able to access files on your computer in a new window. Browse your computer to find the file you want to send and when you've located it, click 'open'. This will attach the file to the bottom of the email where a message may pop up telling you the file is large and it might be better to send it via another method. You can choose to do as it says or ignore it and click send. 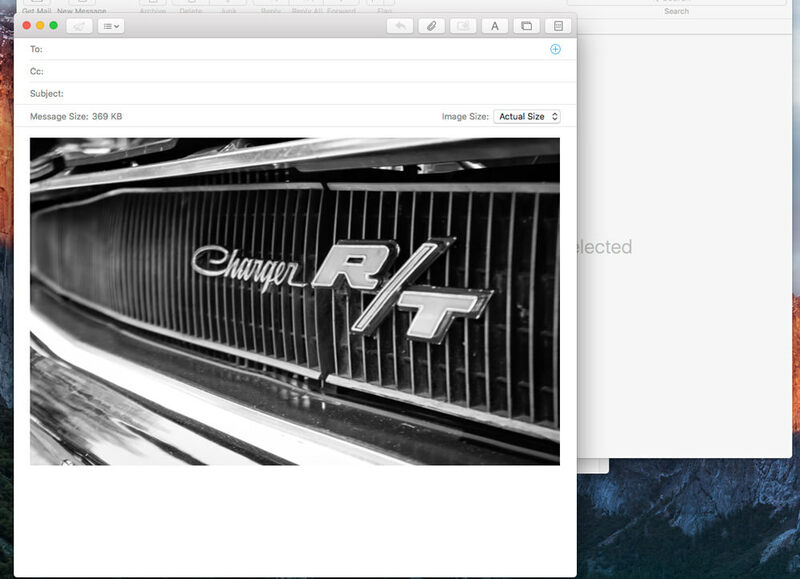 To add the image into the body of the email, drag the file you want to send into where you write your message. After doing this, check the email and hit 'send'. Open up your mail on your iPhone / iPad and click the new message icon shown here. Fill out the email as you normally would with the recipient's details, subject line and message then place your finger on your device's screen, hold and let go. This will open up a menu where an option listed as 'Insert Photo or Video' will appear. Click this, and your photo feed will open where you can select an image from. Click the one you want and it will appear as a preview then click 'Choose'. This will attach the photo to the main body of your email (inline). Check your email and click send. This may open a window which tells you the size of the image and gives you options for reducing its size if you so wish to. Just click on one of the options to select it. Once you've opened up your email, click to start a new message, fill out all of the usual details and click on the paperclip. When you click on the paperclip there will be various options available, click on 'image' and it will open your device's photo gallery. 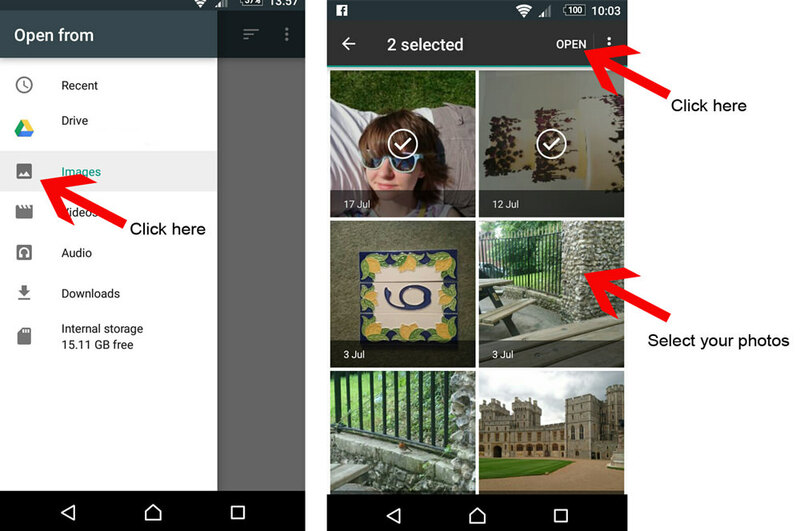 Select the image(s) you want and a tick will appear in a box over the photos selected. Next, click 'open' and the image(s) will appear as an attachment on the email. Check the email and once you're happy click 'send'. 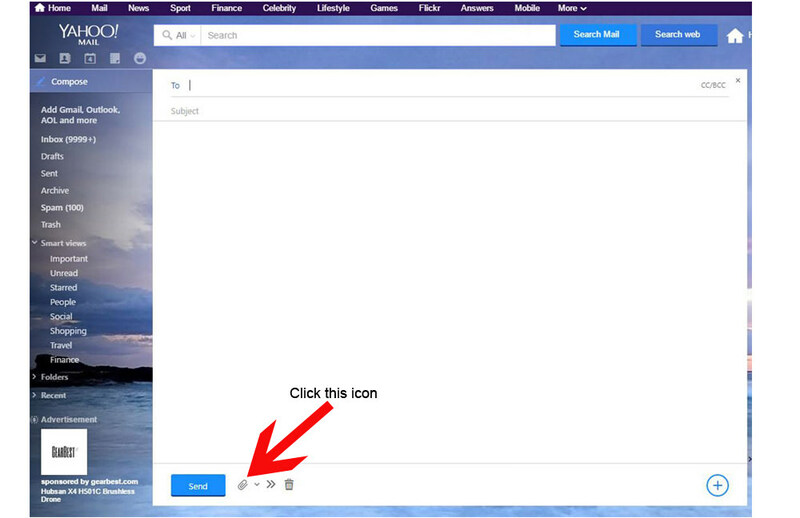 Open Mail and select the New Message button in the Mail toolbar to open a new message window. 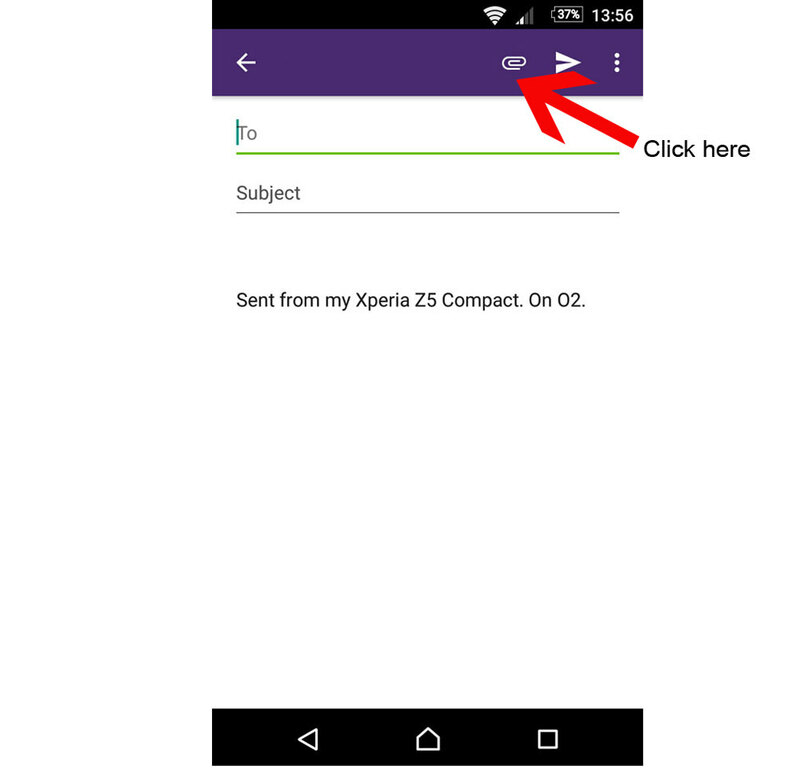 Add the sender details, subject line and any text you want in your message then click the paperclip icon. 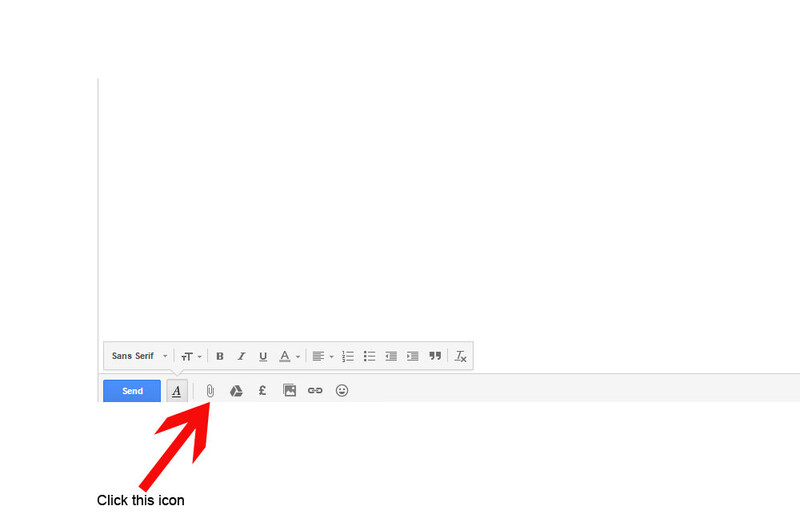 After clicking the paperclip icon, a new window will appear where you can select your image from. 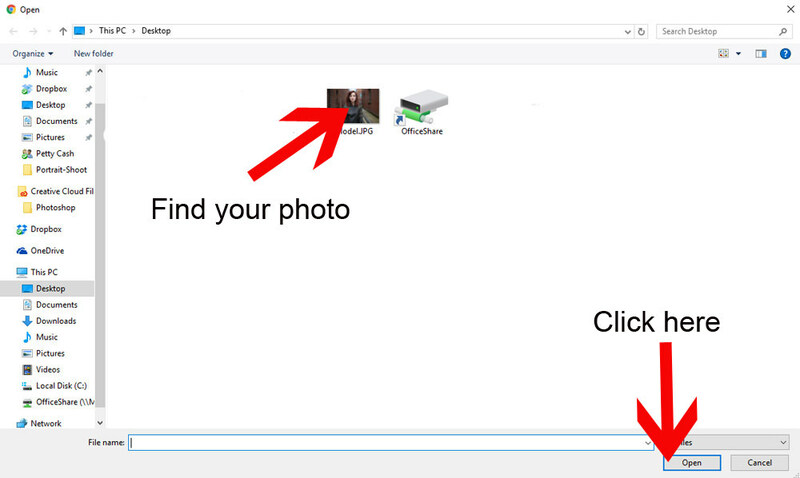 Click your photo and select 'Choose File' to attach it to your email. The image will appear inline, in the box you add your text to. Check the email and once you're happy click 'send'. Click on the message to open it and the file icon will appear in an attachment field either as a small preview of the image or as an image file name next to a paperclip icon (depending on your mail software). 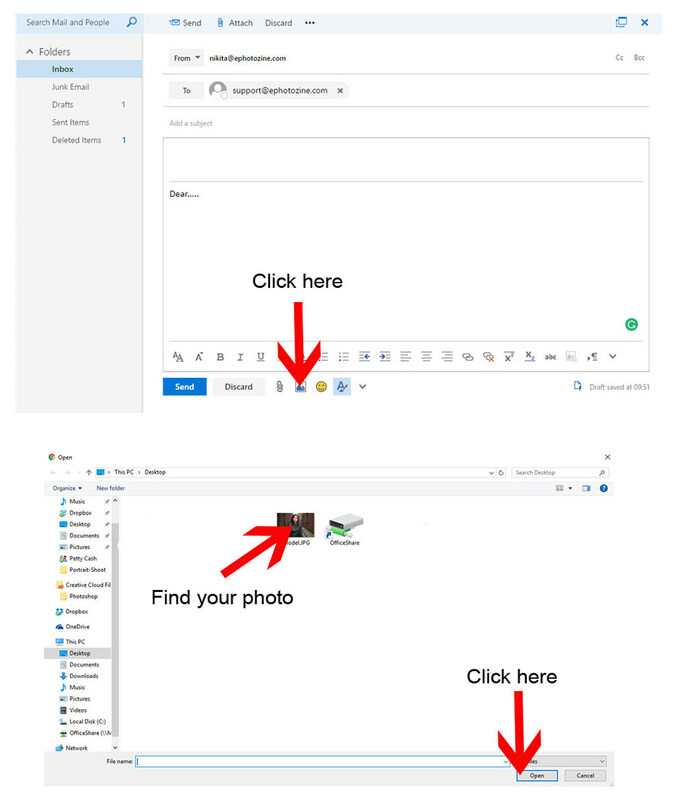 You can click on the attachment and drag it to the desktop or an image folder or save to a specific location (how you do this will depend on the mail software you are using). If you double click on the file it will open in the default program that you have set for that type of file format. ie those ending in .jpeg may open in Photoshop or some web-based mail clients have their own preview windows which will open. Be careful when receiving files ensuring that they are from a known source before you open them, as there are many SPAM emails that have Virus files attached. Use a virus checking program to prevent this such as Norton AntiVirus. The common file formats to avoid opening without virus checking include .pif, .scr and .exe.